Nexcem Insulated Concrete Forms are the NEXt generation in CEMent-bonded wood fiber ICF systems. Building on the original 70-year-old Swiss technology, we have brought ICF building blocks into the 21st century. Our advanced mix designs, proprietary processes, and state-of-the-art equipment allow us to offer products that are stronger and more precise than any other manufacturer of similar materials. With over 20 years of experience, we manufacture the only reinforced insulated concrete forms that do not use foam or polystyrene. As the leading non-styrofoam insulated concrete form manufacturer, we supply our proprietary Nexcem products to architects, designers, and builders in the United States and Canada. Our high-performance ICF blocks are ideal for both below- and above-grade building construction. As the construction industry continues to support green building and environmentally sensitive materials, Nexcem continues to be an integral component by supplying the most eco-friendly insulated concrete building blocks on the market. Since the late 1990s, Nexcem has been an important part of certified LEED and green building– from passive solar design to superior energy efficiency. 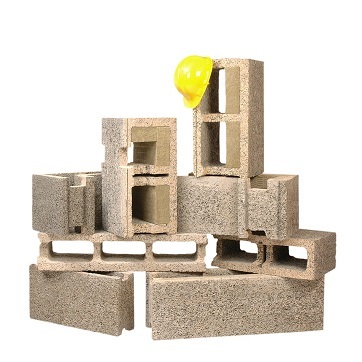 If you’re in the market for insulated concrete building blocks, look no further than Nexcem. We provide a variety of quality products for any building project. As the leading manufacturer of cement-bonded wood fiber insulated concrete forms, we believe in providing nothing short of quality. Contact us today to see how we can help!